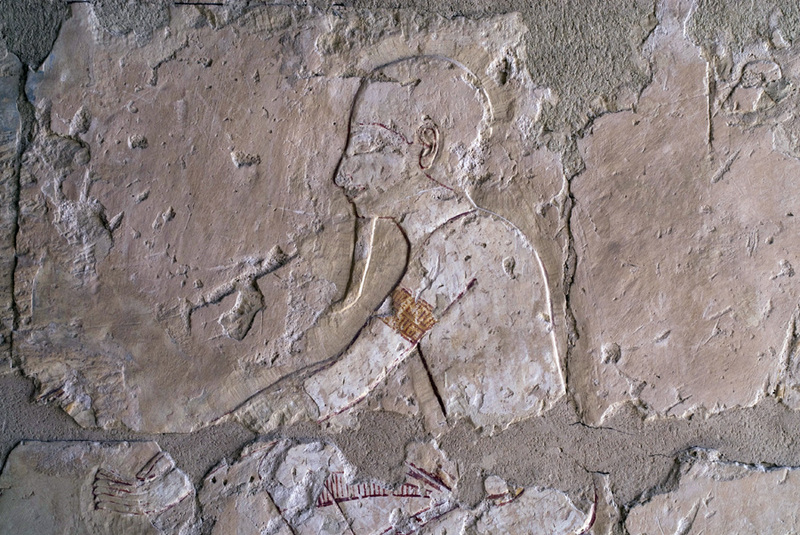 St. Louis Community College students visited the Egyptian archaeological site of Deir el-Bahri (Arabic, Northern Monastery) on 2001, 2007 and 2009. 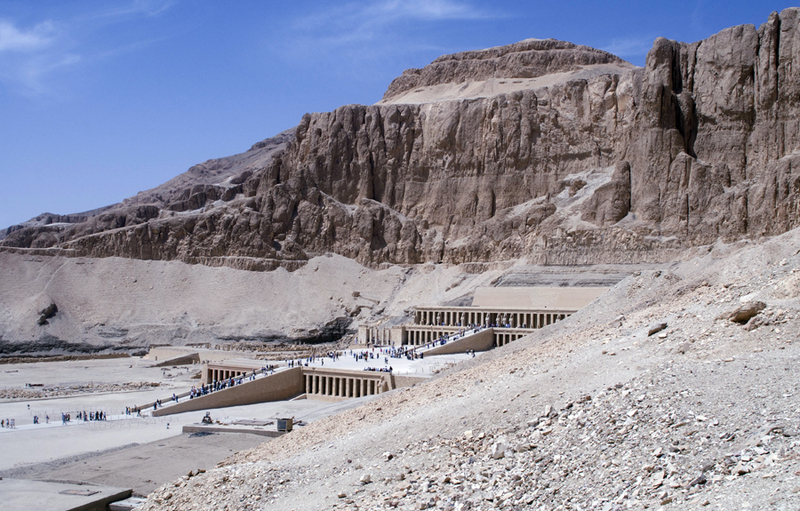 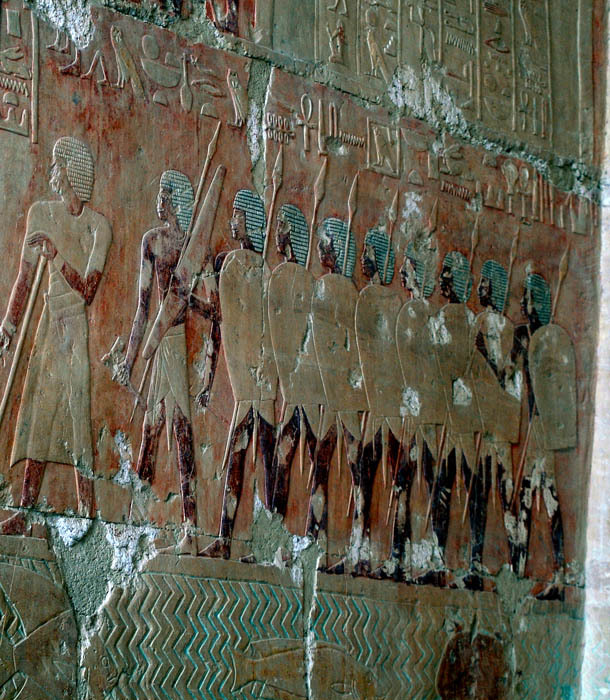 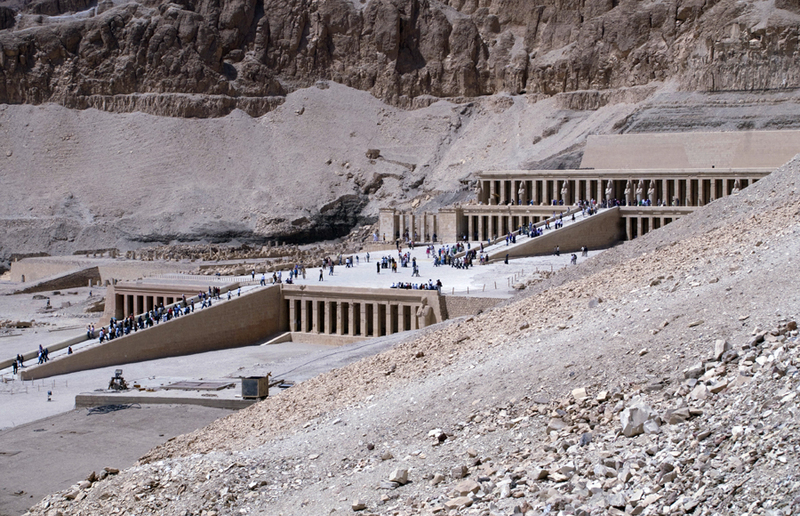 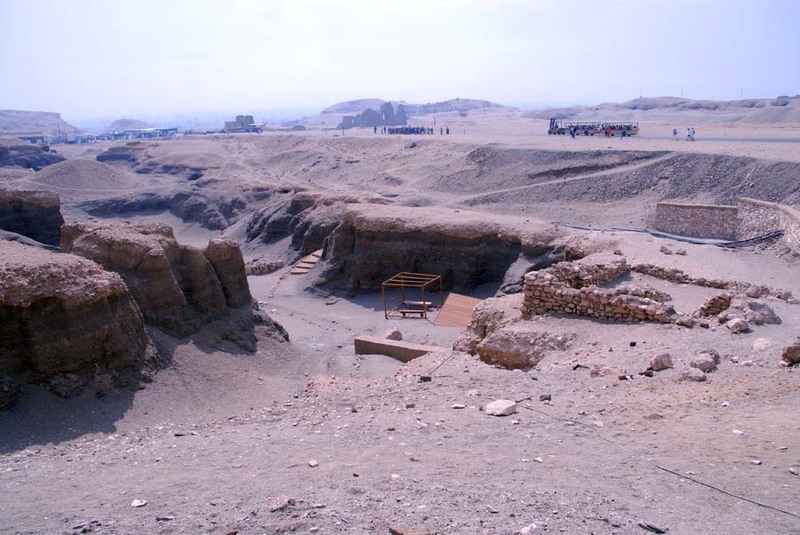 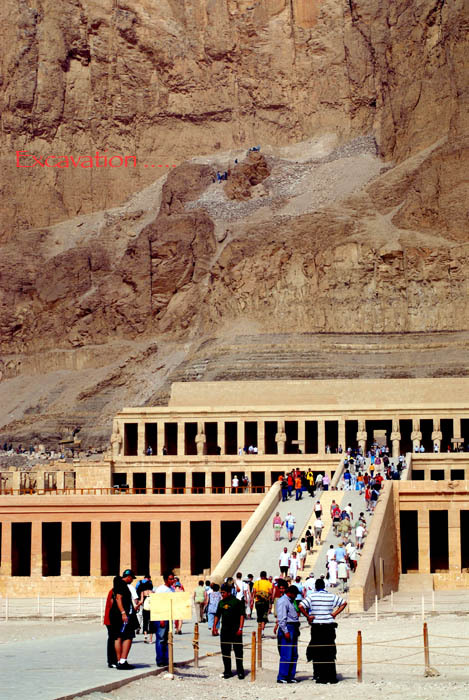 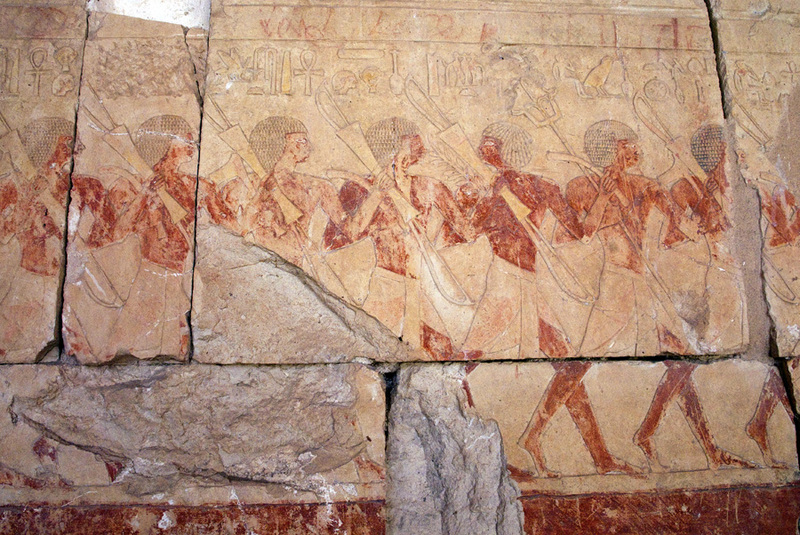 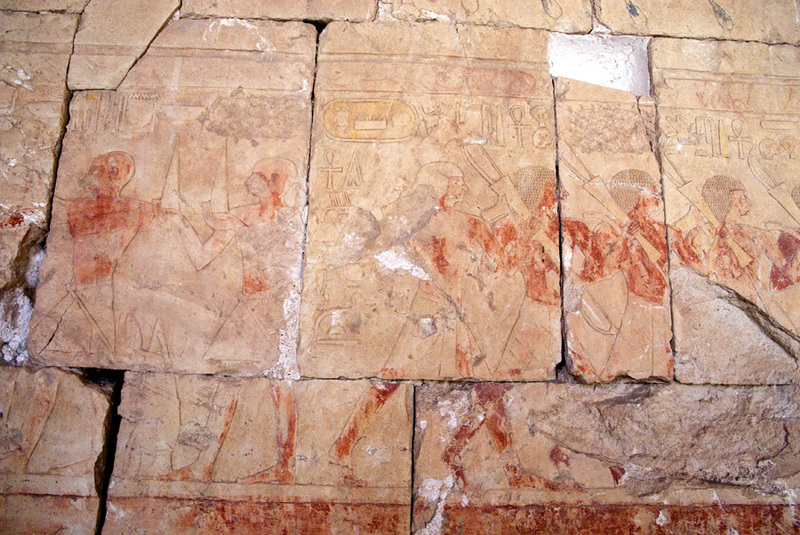 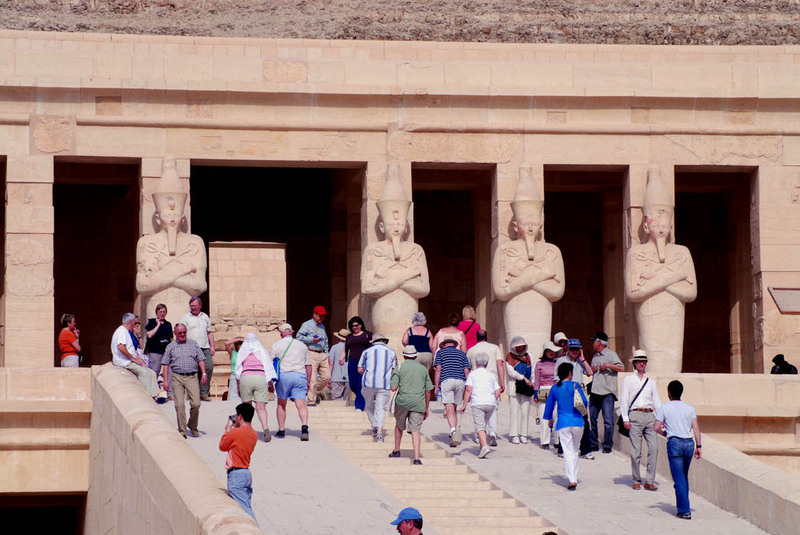 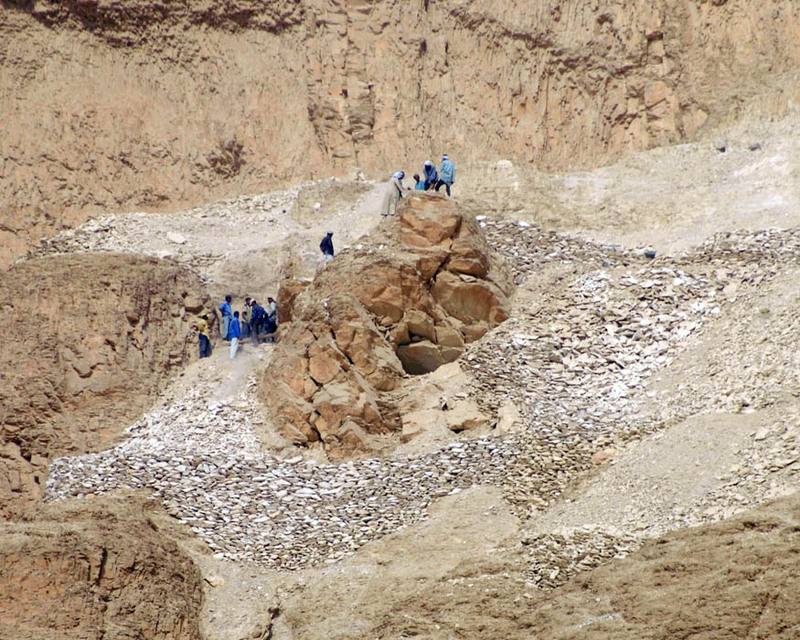 This famous mortuary temple was built for Queen Hatshepsut who ruled Egyptain in ca. 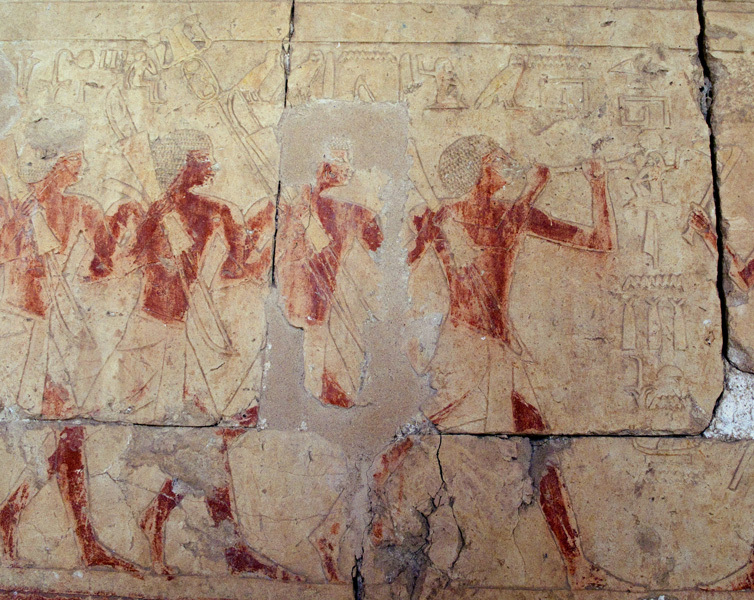 1503 - 1482 BC). 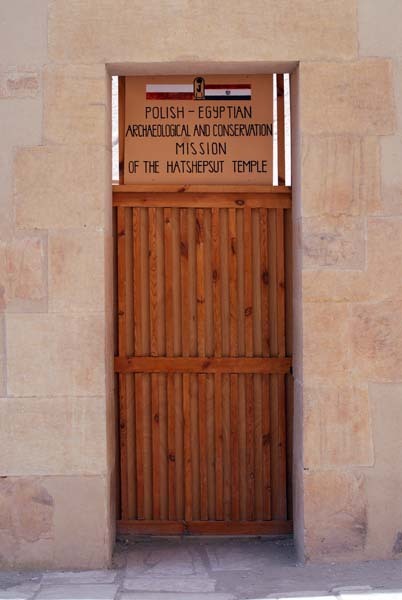 Door to the Polish-Egyptian mission at the site. 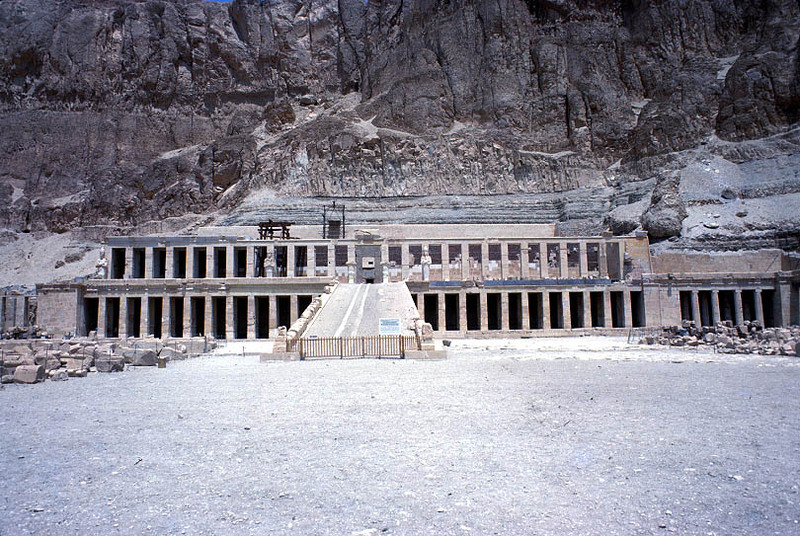 Mortuary temple during restoration in 1980s. 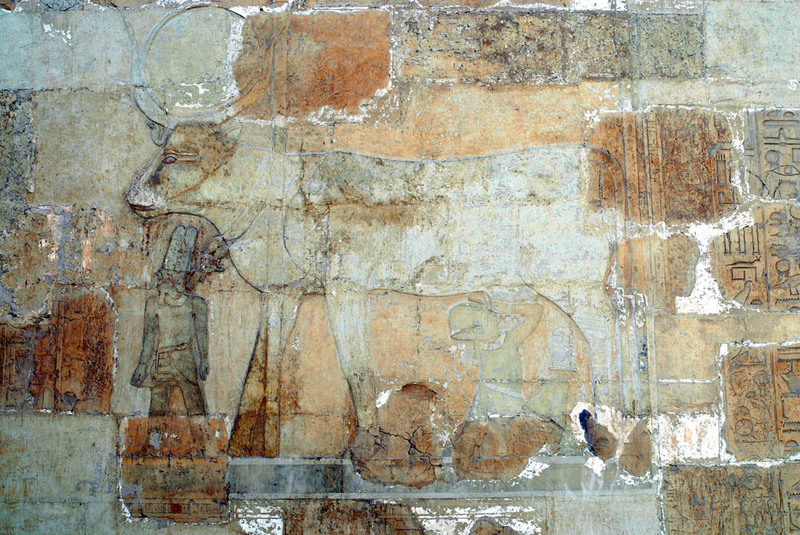 Lion relief at the temple. 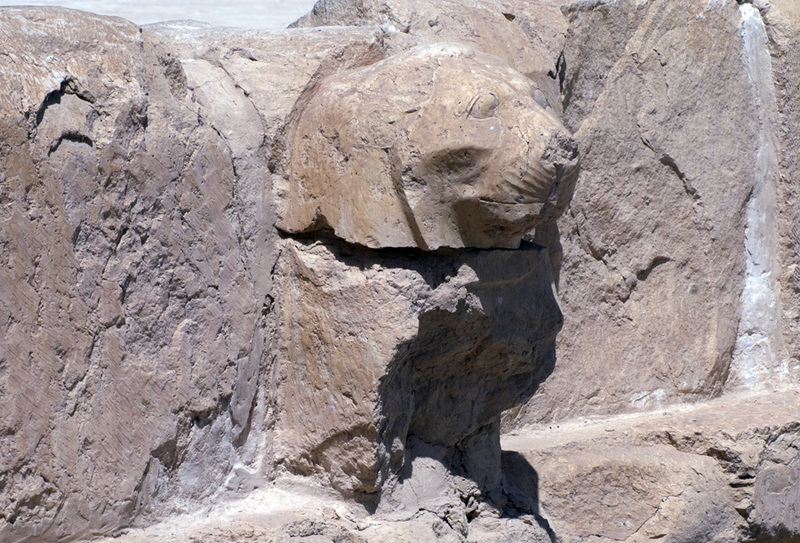 Lion sculpture at the temple. 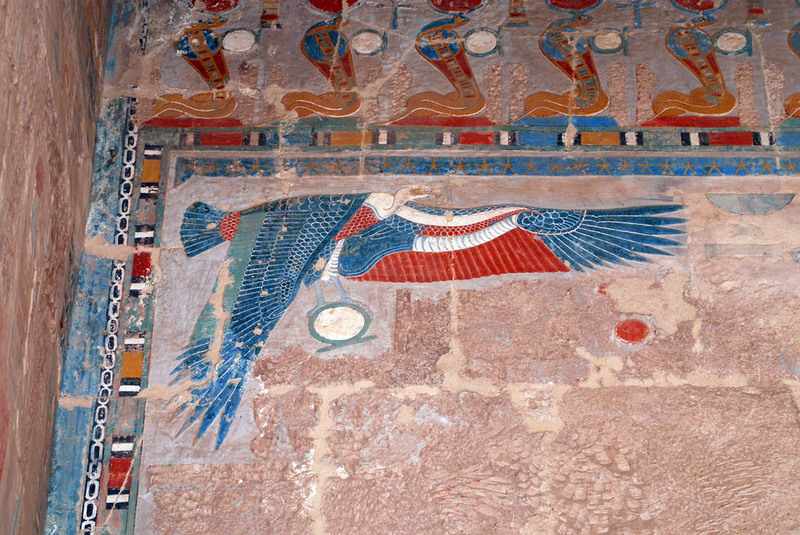 Horus along stairs leading to 1st terrace. 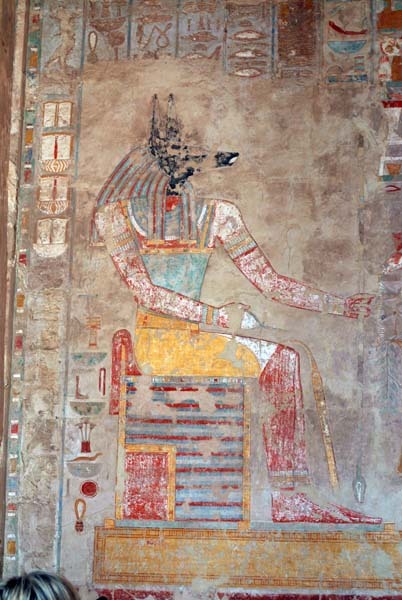 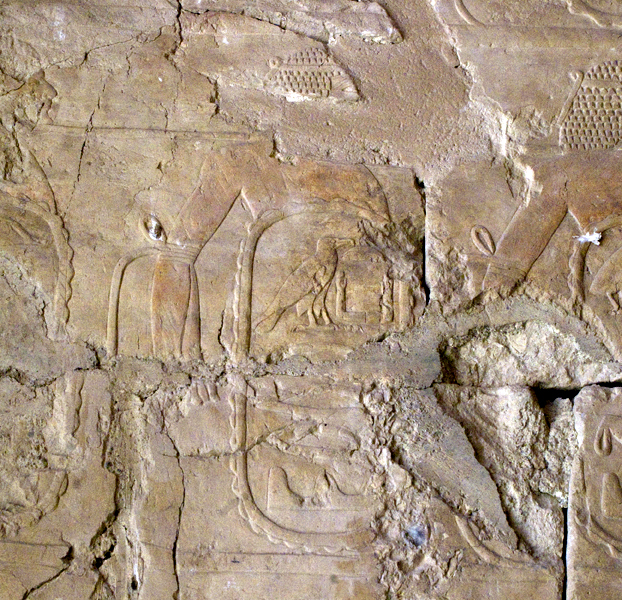 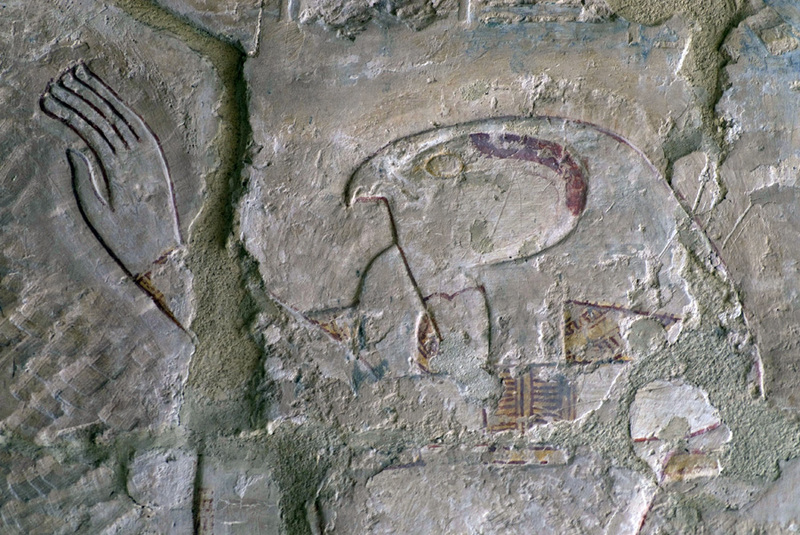 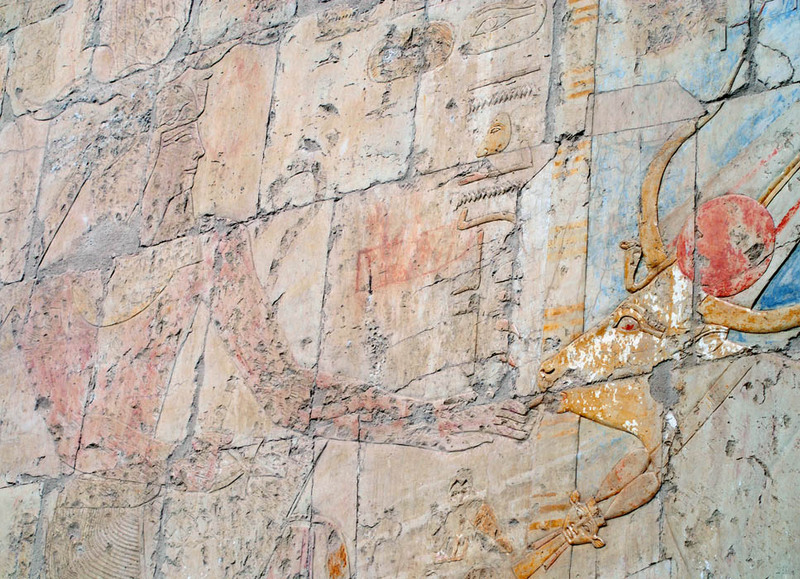 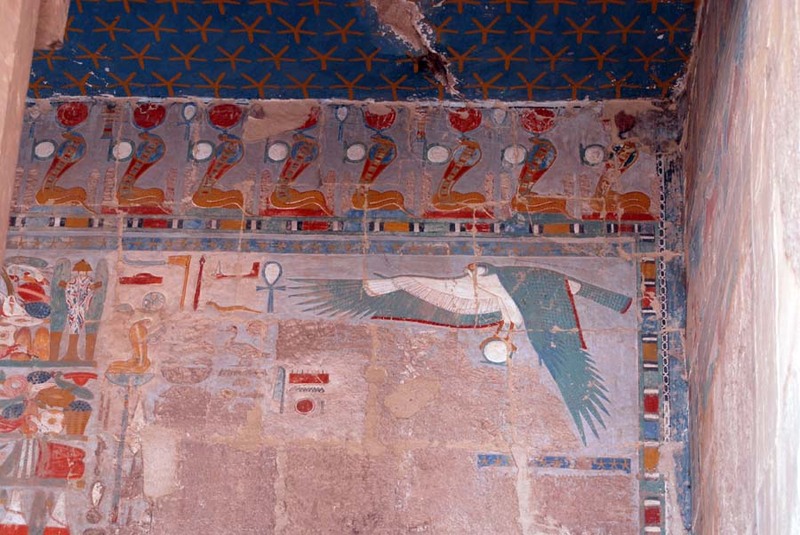 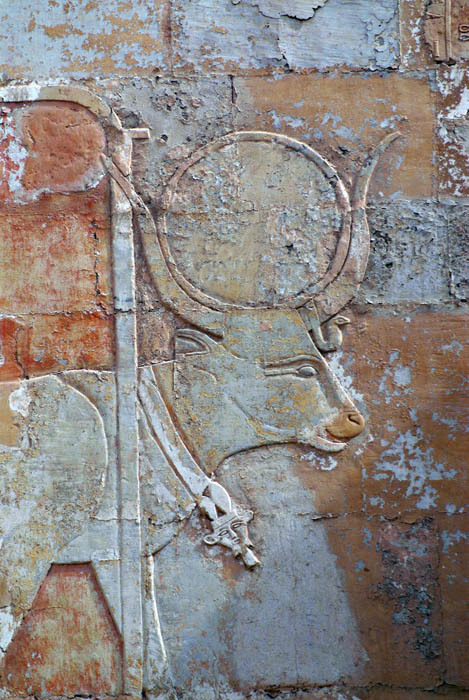 Relief of Horus with traces of paint. 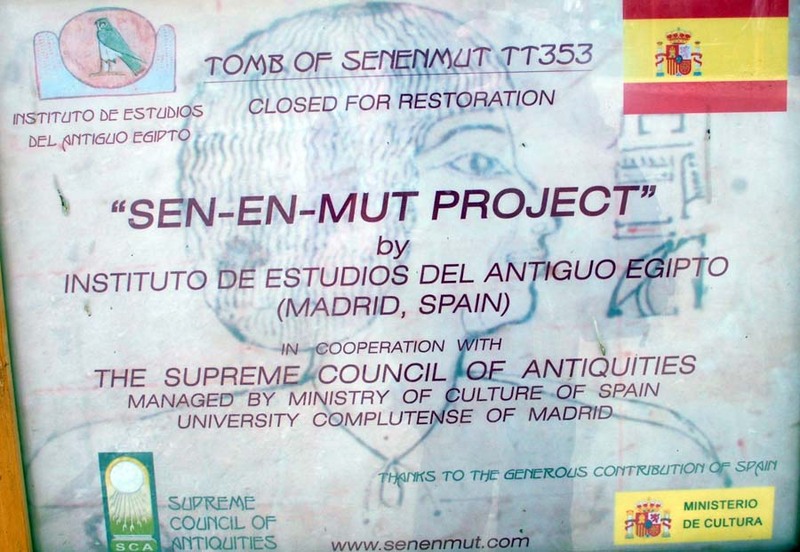 Unfinished (or defaced?) 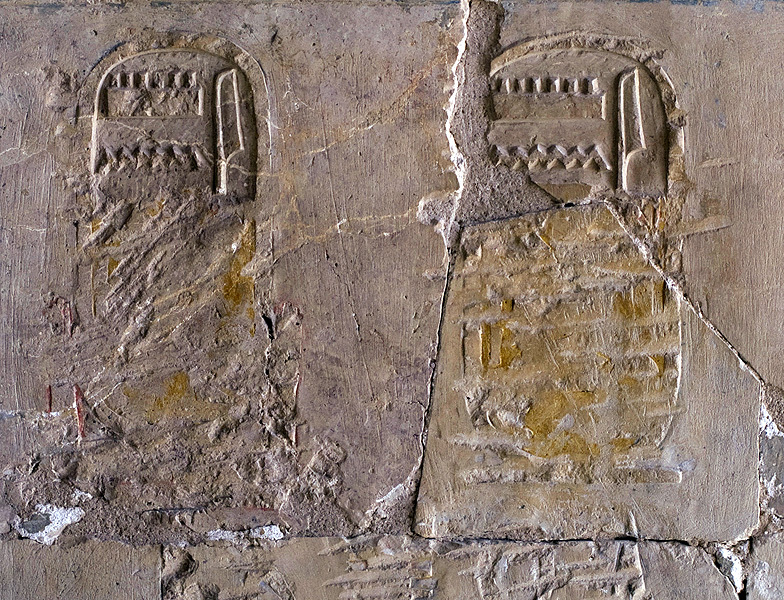 cartouches preserving the three glyphs for Amon of Queen Hatshepsut's. 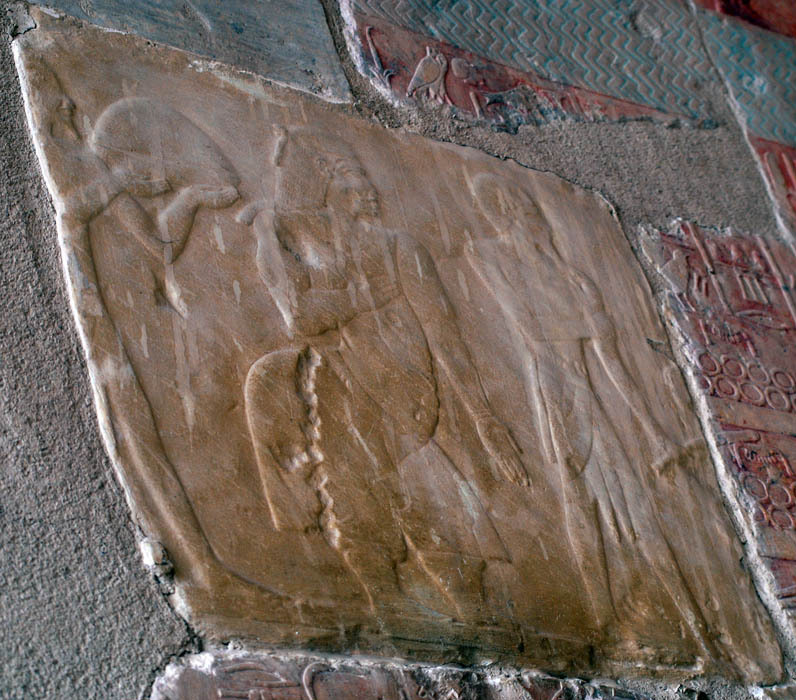 Damaged relief showing the Queen wearing a false beard. 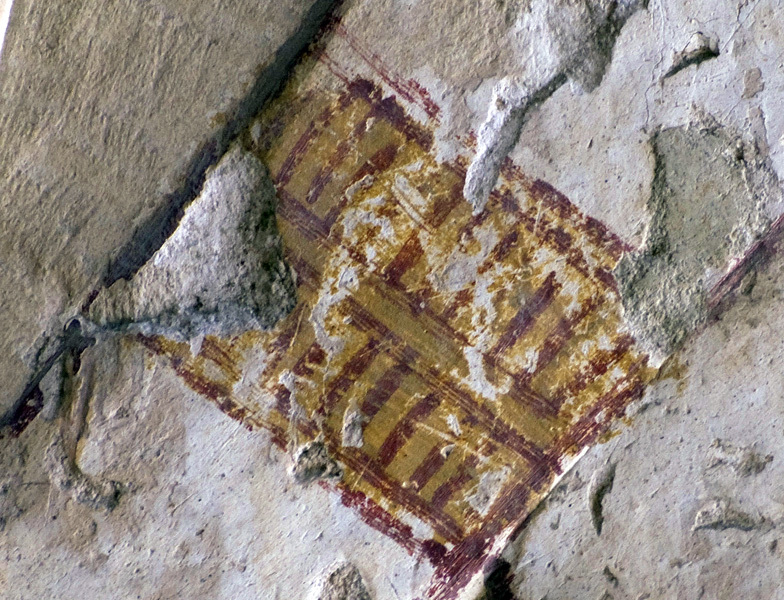 Detail of the painted armband of the Queen. 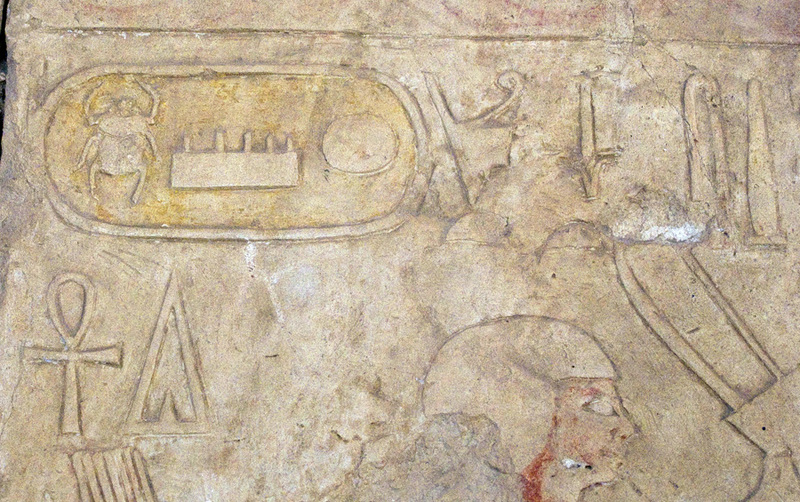 Closeup of Tuthmosis III cartouche. 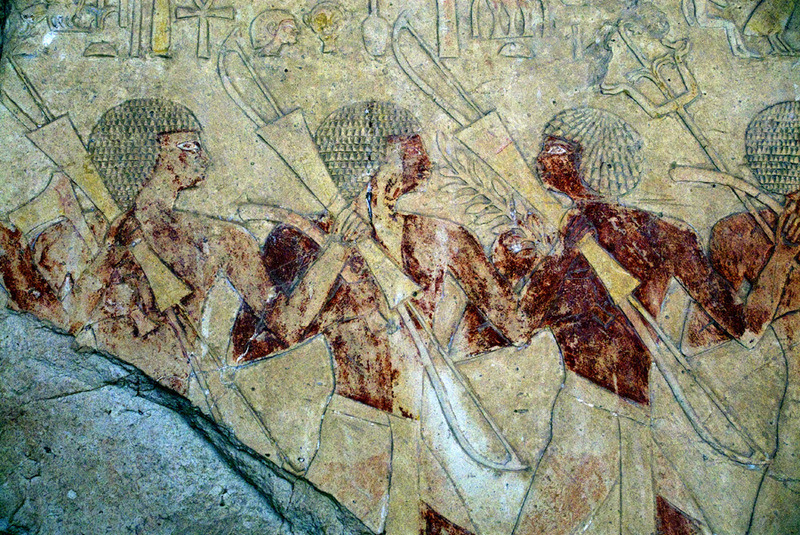 Archers led by a musician playing an instrument like a mizmaror shawm. 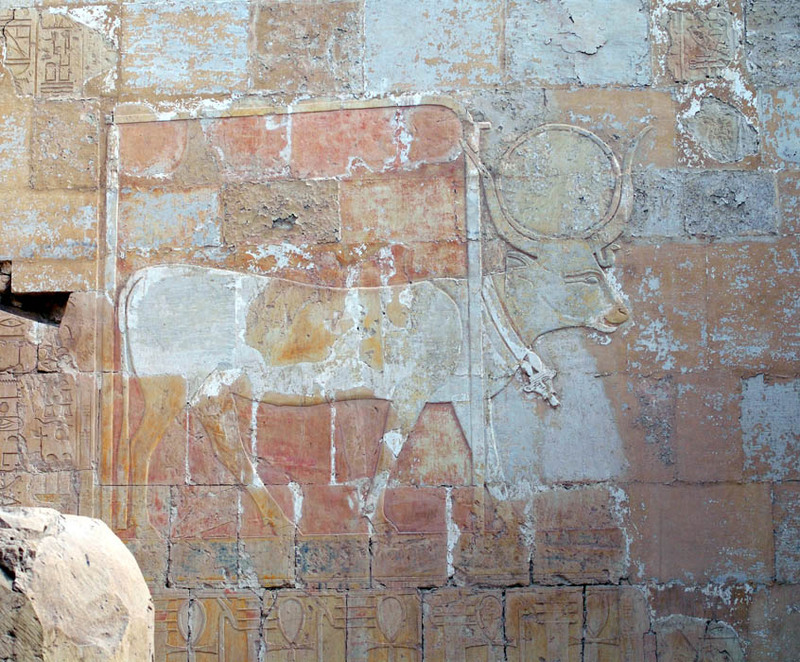 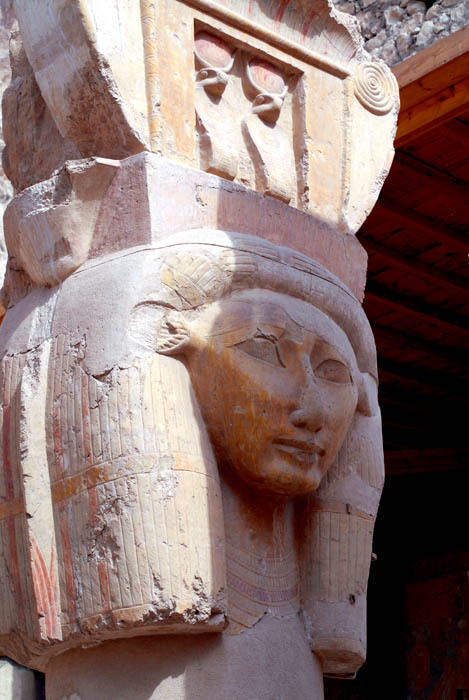 Hatshepsut and Hathor features combined; photograph from 1980s. 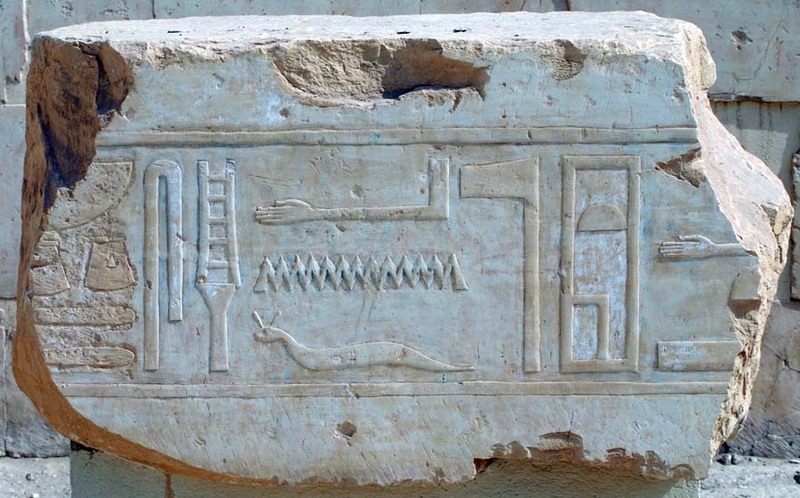 Block with glyphs in relief and color; Phrase something like "Forever Like Re -Dominion, Stability, Life"
Defaced cartouche of Queen Hatshepsut. 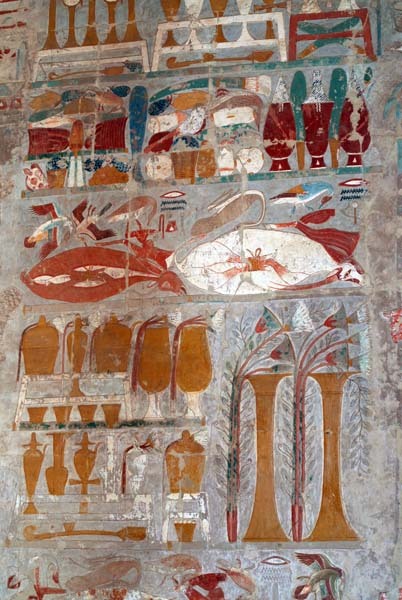 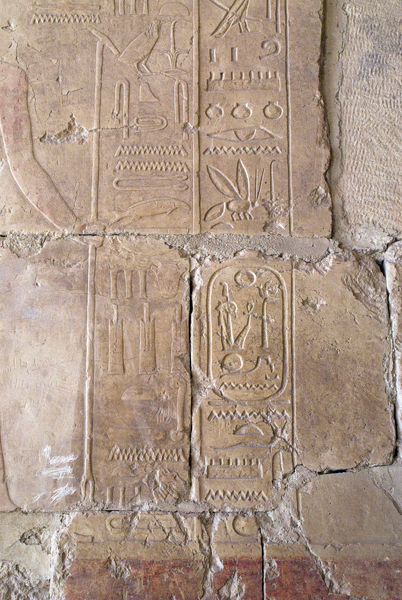 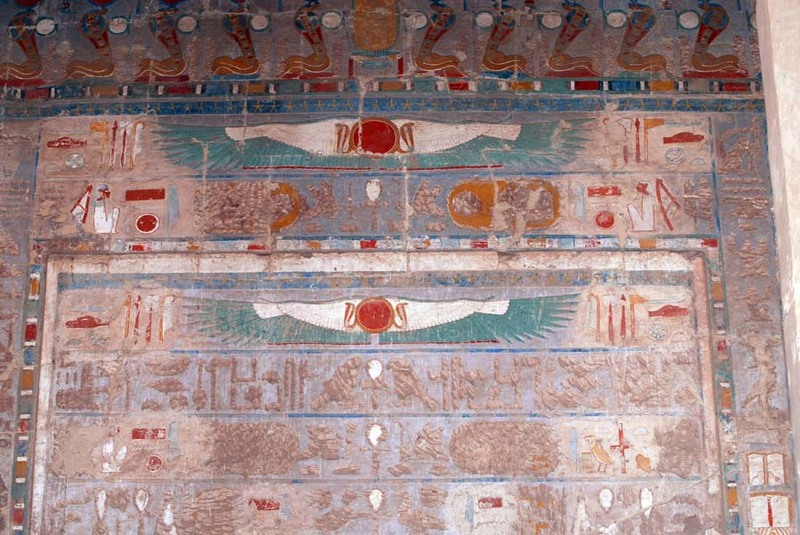 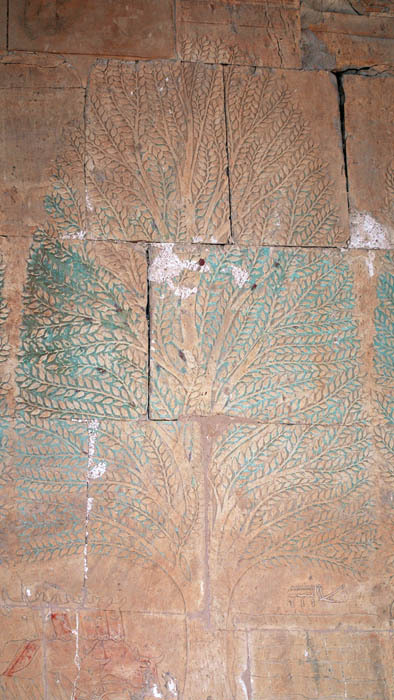 The top of the chenemglyph can be recognized. 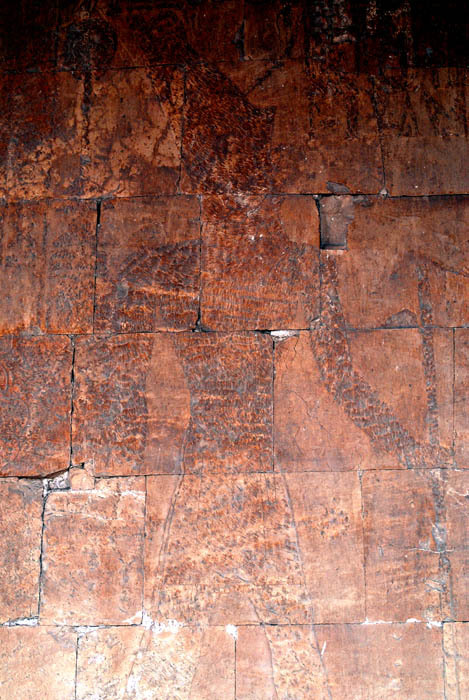 Relef image of an African hut in the panel concerning the Punt expedition. 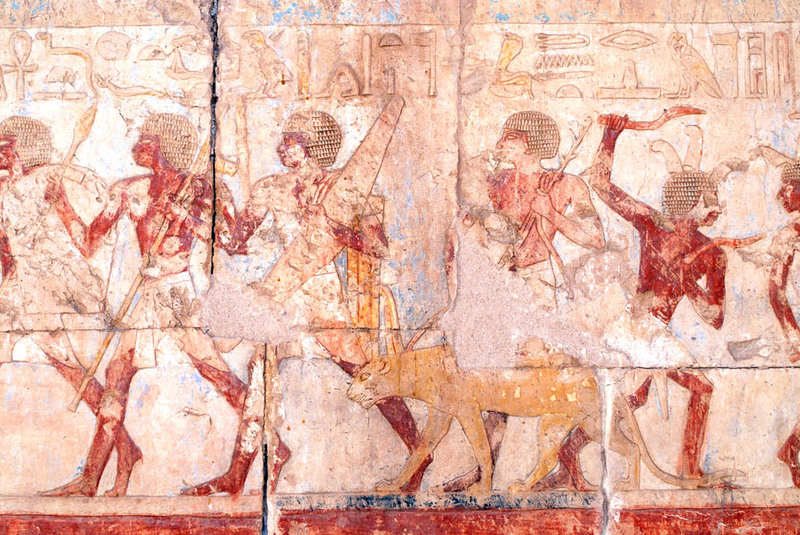 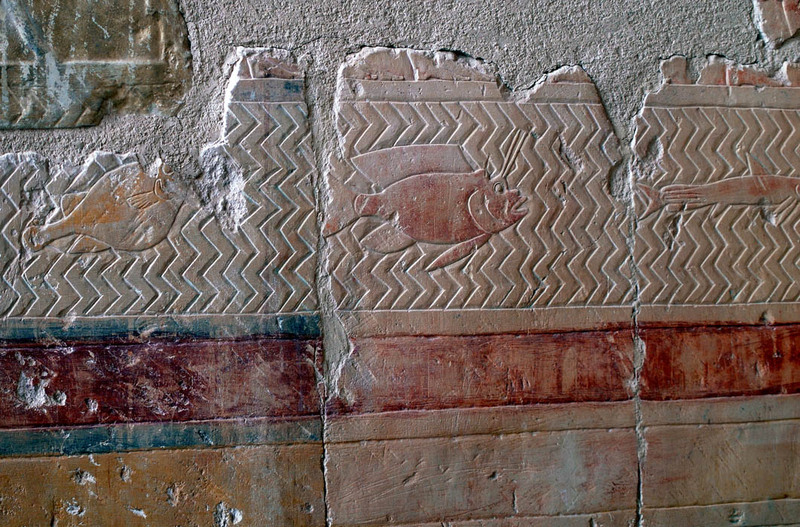 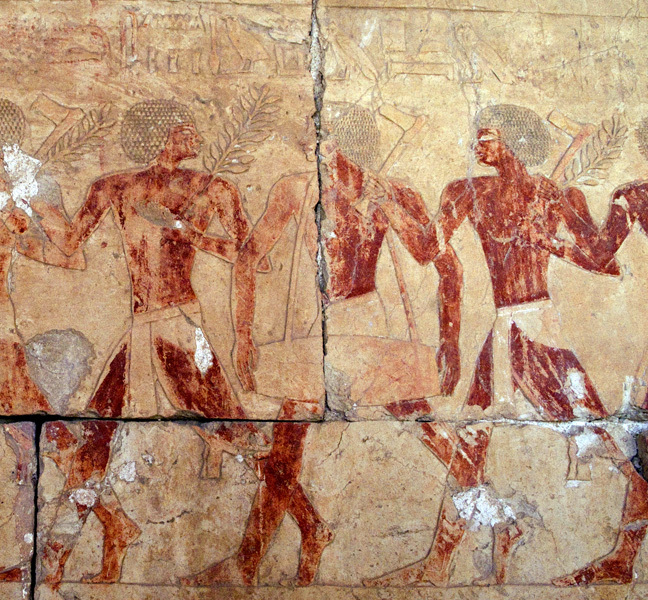 Relief and painted image of fish in the panel concerning the Punt expedition. 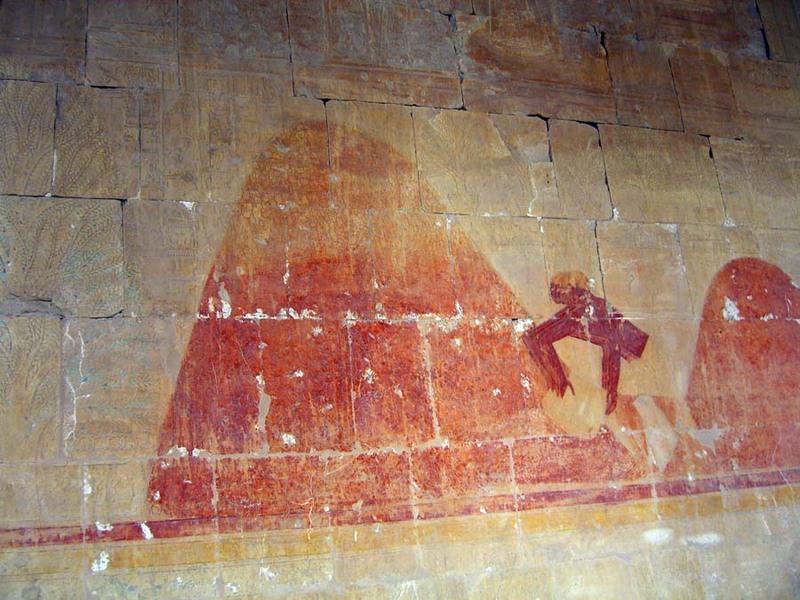 Transporting a small tree from Punt. 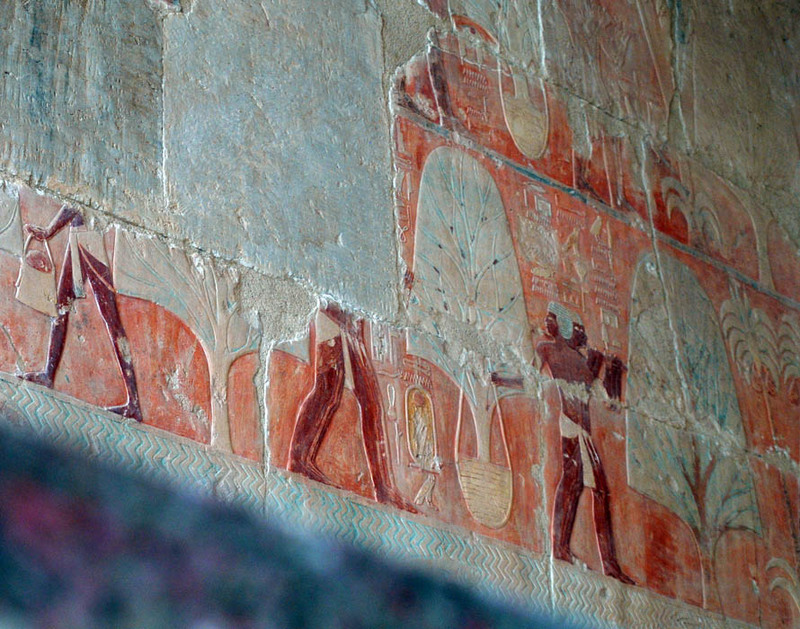 Workers pile up a heap next to the incense tree. 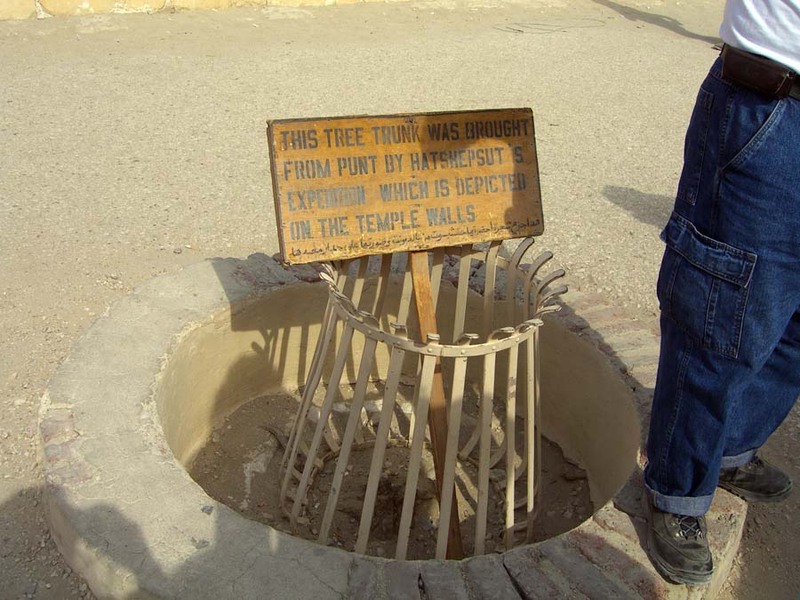 Tradition that a stump of a punt tree was discovered. 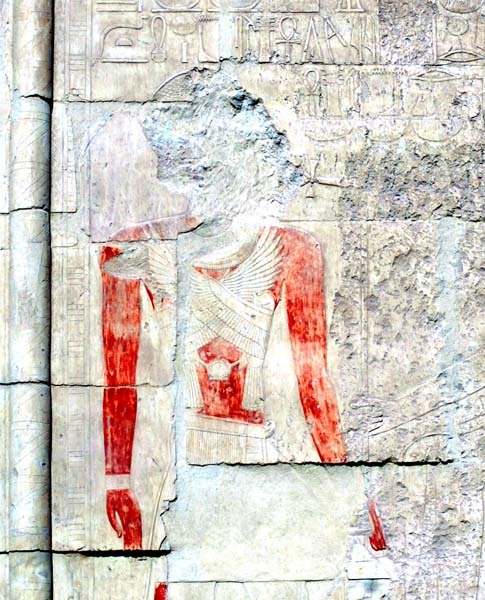 Copy of the relief image often described as the Queen of Punt; the original is in the Cairo Museum. 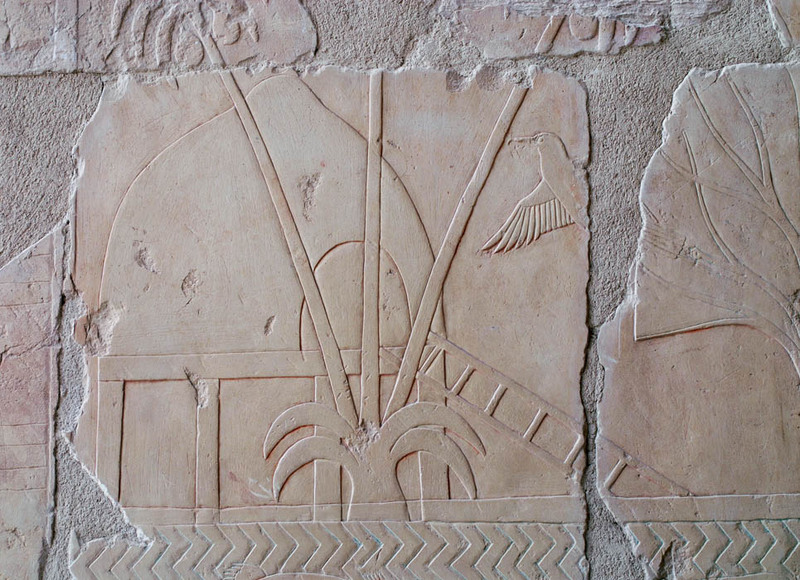 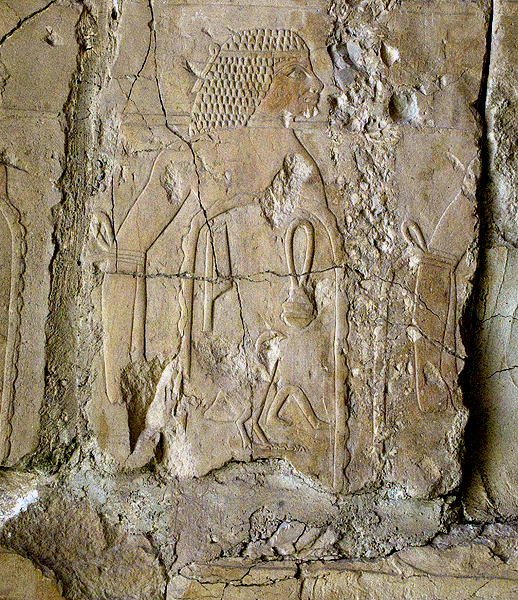 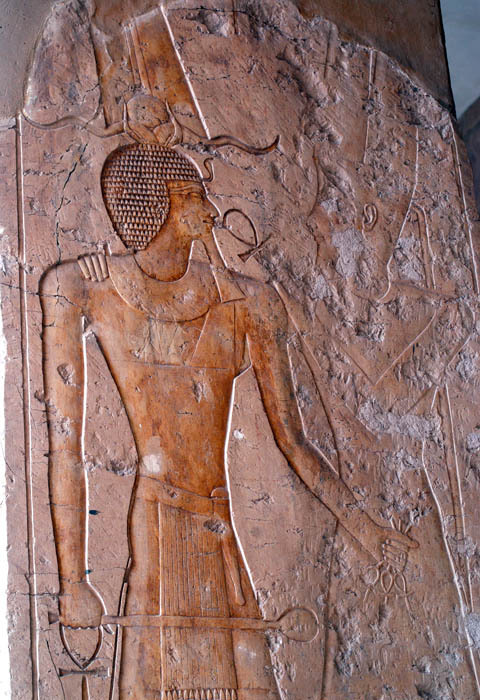 Relief of Amun-Ra blessing with the ankh sign; most probably King Tuthmosis III since there is no defacing. 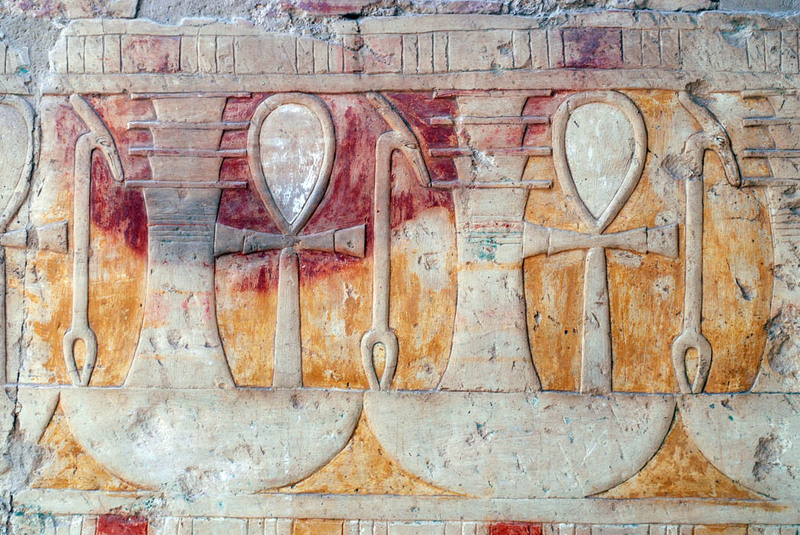 Glyphs of Ankh, Djed, Was - translates "Life, Stability, Dominion." 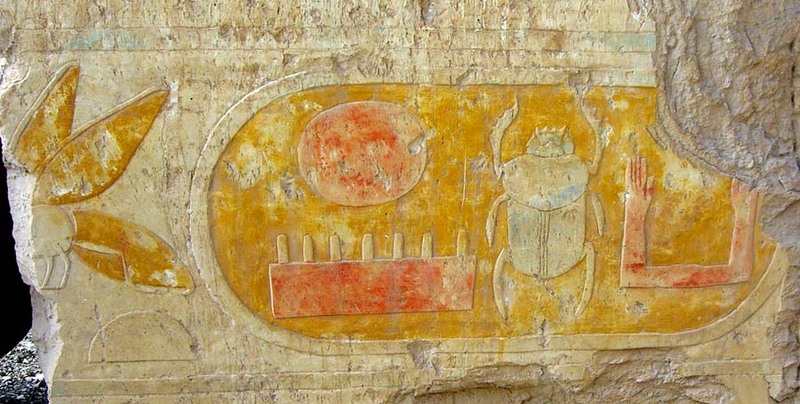 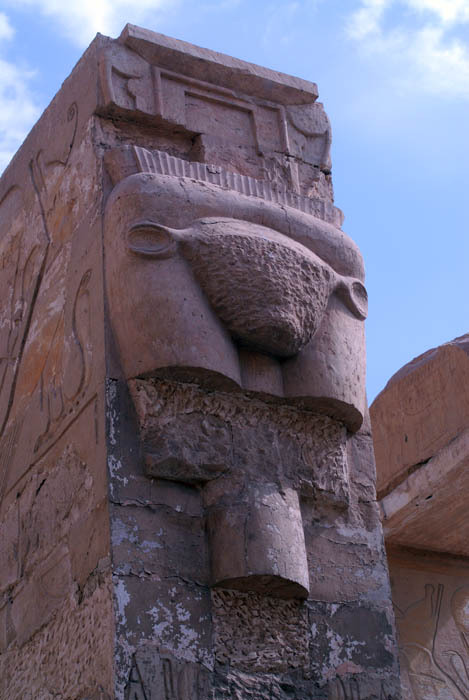 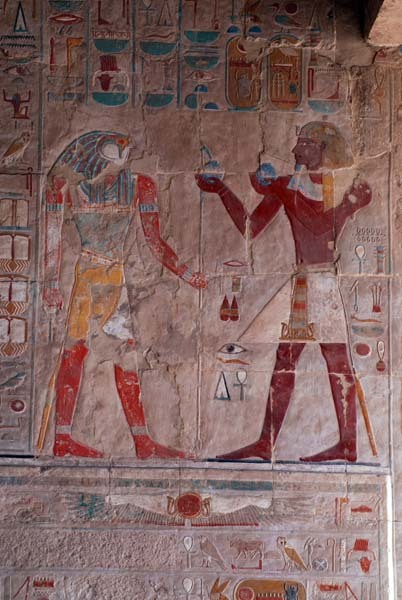 Men-kheper-Re (lasting is the manifestation of Re) with ka (spirit) = Tuthmosis III cartouche. 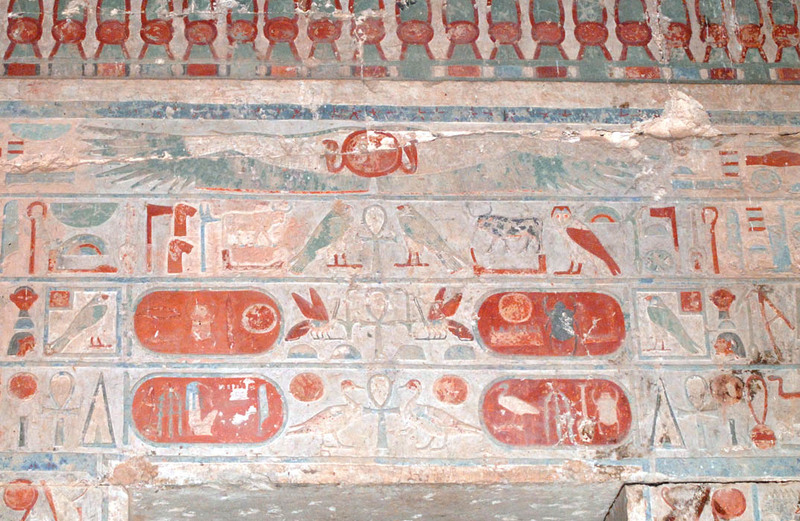 Inner shrine with cartouches of Tuthmosis III. 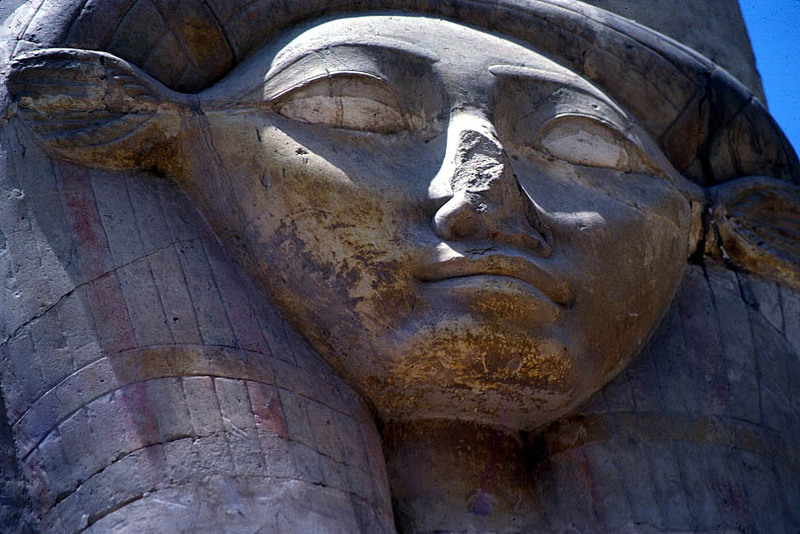 Hatshepsut faced sphinx from Thebes in the Cairo Museum; photograph from 1980s.